Branislav Škripek, a member of the European Parliament from Slovakia, stresses the European Parliament does not hate Israel. 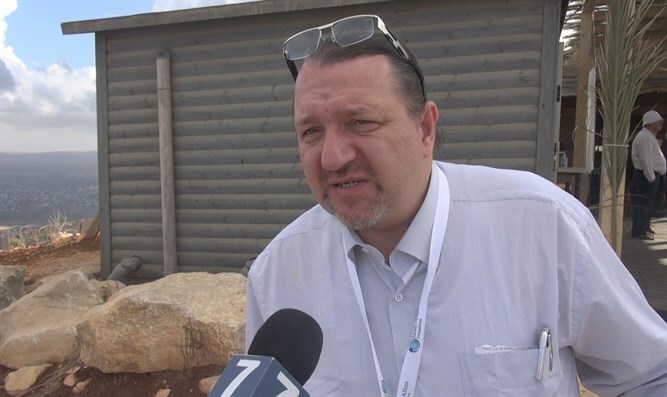 Arutz Sheva spoke to Branislav Škripek, a member of the European Parliament from Slovakia, who was in Israel as part of a delegation of 27 members of parliament from around the world. “I'm a member of the delegation for Israel, but we met with people from the delegation for Palestine, and a few days ago they invited into the European Parliament a terrorist – a lady who hijacked an airplane,” he continued, referring to the speech by Leila Khaled, who was a member of the Popular Front for the Liberation of Palestine (PFLP) terror group and was involved in airplane hijackings in the late 1960s and early 1970s. “We don't say there are no mistakes in Israeli politics, but we want to enforce the positive attitudes as well,” he added.